On a recent trip to visit my Great Aunt Ruby I had the opportunity to copy down a few more family recipes. 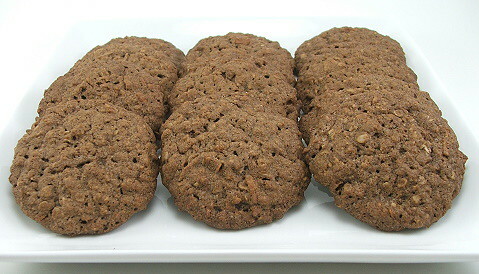 One of the recipes was for an oatmeal raisin cookie made with coconut and cocoa powder. It sounded unique and I jotted it down to play with later. Well, later came sooner than I imagined because I could not get the recipe out of my head. 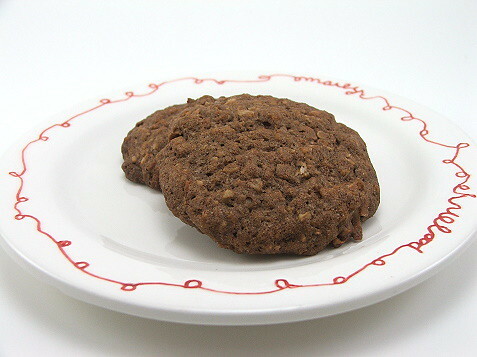 I modified the original recipe by adding a different blend of white and brown sugars, adding some vanilla, and omitting the raisins. I didn’t have any in the pantry, but if you want to add them the recipe calls for 1 cup. 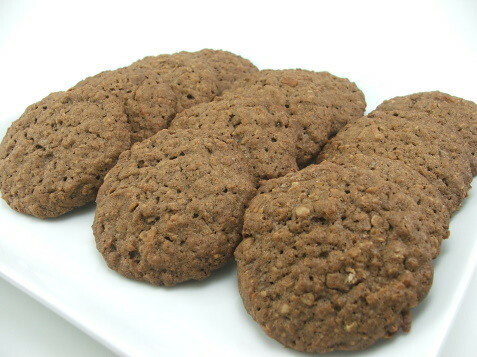 The final cookies are crisp on the outside and chewy inside. 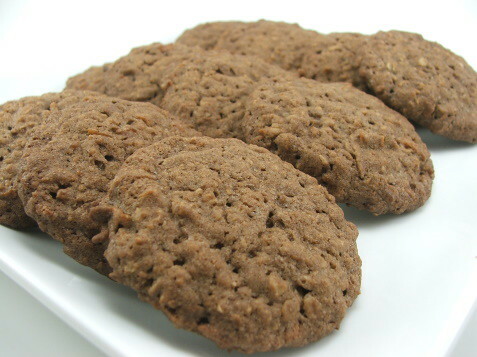 The cinnamon and cocoa powder give the cookies a unique flavor that I find almost addicting. 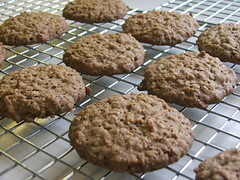 They are very moist from the coconut and have a lovely texture from the oats. They also bake up really pretty which makes them great for giving as a gift, or for putting on a pretty plate for a party or get together. 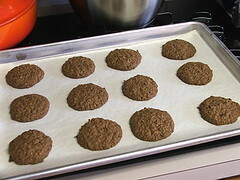 Heat the oven to 350 F and line two cookie sheets with parchment paper. 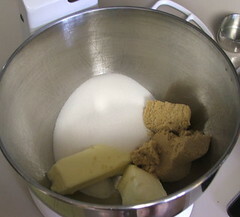 In the bowl of a mixer add the butter, brown sugar, and white sugar. Blend on low speed until they are just combined. While mixing on low speed add the eggs, one at a time, and the vanilla. Mix until well combined but not fluffy. 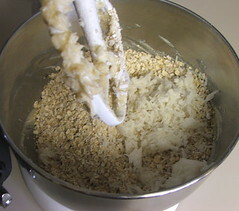 Add the shredded coconut and the oats and mix on low speed until well incorporated. 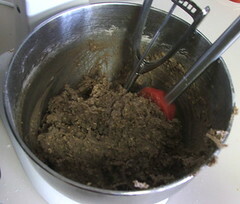 In a separate bowl sift the flour, cinnamon and cocoa powder. Stir to combine. In a measuring cup mix the boiling water and the baking soda. 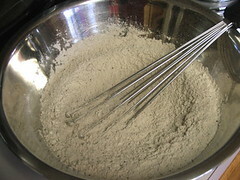 Add half of the flour mixture to the oat mixture and mix for about five seconds on low speed. Add all of the water and mix until the water is incorporated then add the remaining flour mixture and mix until just combined. Scoop out the dough by the rounded tablespoon, or use a #60 disher, about two inches apart. Bake for 18 to 20 minutes, or until slightly darker and firm. Cool for five minutes on the pan before transferring to a wire rack to cool completely.